The recently released 2013 California Association of Realtors buyers and sellers reports are chalk full of highly relevant data and trends for real estate agents. But the statistic above is perhaps most piercing to those agents who don’t prioritize real estate branding. If you’re like many of our most successful customers, the focus has traditionally been on direct marketing, lead generation, or referral-based systems. Many see ‘branding’ as wasted marketing dollars with poor ROI. But it’s increasingly important to recognize that prospective leads and clients are inevitably going to Google you. And when they do, are you comfortable with what they are going to find? How do you manage your personal brand? For most agents, a great starting point in evaluating your personal brand and how it’s portrayed online is to consider your ‘Big 3’ presence. Unless you’ve been practicing real estate in an Internet-free Zone (and no, I don’t mean free Internet), you’re likely already quite familiar with the ‘Big 3’ real estate listing engines (Zillow, Trulia, and Realtor.com) as ad platforms and lead generation tools. What’s perhaps less obvious are the branding opportunities baked into the free tools offered by these sites, as well as some of the review-centric sites out there such as Yelp. 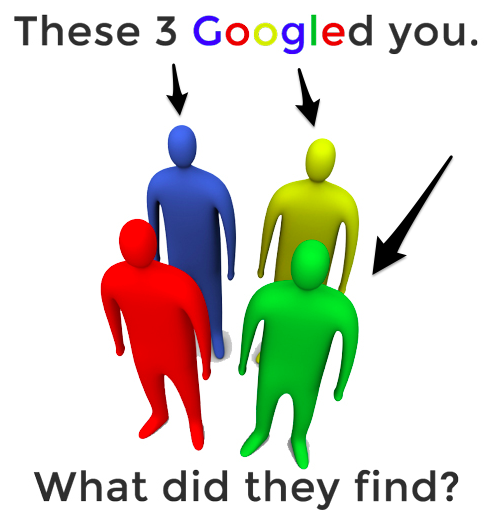 The “Big 3” are most likely to populate page one of the search results when a prospect inputs your name as the search term, not to mention the fact that your profile will inevitably come up when users search for you directly on one of the ‘Big 3’ sites. Below are some of the steps you should take to ensure that the next time a prospective client Googles you, you’re effectively leveraging the ‘Big 3’ and reinforcing the client’s decision to consider you as their agent. While none of these steps can be easily or precisely measured from a lead generation standpoint, it’s critical to prioritize how you are presented in search rankings. At the very least, it makes sense to assume that even those leads generated directly through paid ads are – as the data would suggest – likely to Google you before engaging with you as a client in an offline environment. As Zillow’s CRO Greg Schwartz points out, the most successful Zillow agents are those who take the most proactive approach to managing their online profile. Like it or not, all of your profiles will be prioritized by the search engines and found by prospective clients. So, regardless of whether you choose to invest your marketing budget in any or all of the ‘Big 3’ sites, make it a point to stay active and stay relevant with your site profiles (which is, after all, free). Find this useful? Subscribe to the Zurple Real Estate blog for more useful agent insights.